President Trump called for the Department of Justice to "act" on former Hillary Clinton adviser Huma Abedin on Tuesday morning, naming her as "crooked." "Crooked Hillary Clinton’s top aid, Huma Abedin, has been accused of disregarding basic security protocols," Trump said in the Tuesday morning tweet. "She put Classified Passwords into the hands of foreign agents. Remember sailors pictures on submarine? Jail! Deep State Justice Dept must finally act? Also on Comey & others"
Trump's tweet comes after the State Department released a series of emails belonging to Abedin that were found on Anthony Weiner's laptop by the FBI. 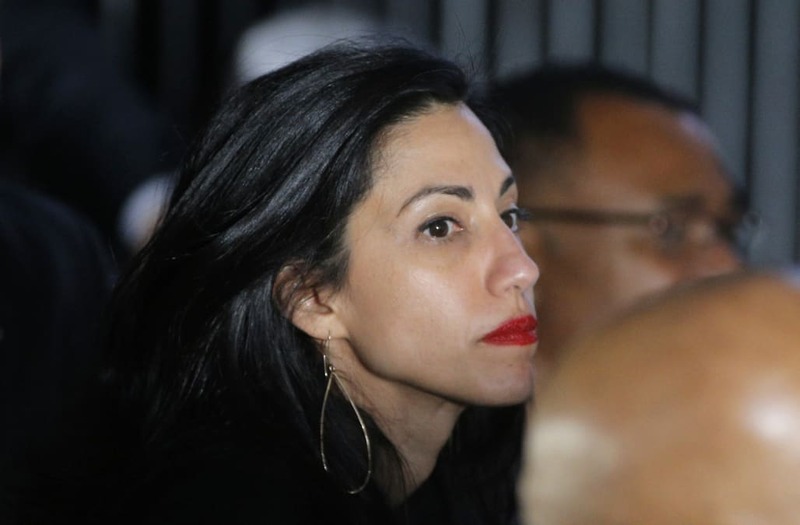 The State Department posted a number of emails belonging to former top Hillary Clinton aide Huma Abedin on Friday after the messages were found on Anthony Weiner's laptop by the FBI. The emails were reported to have contained "confidential" information.